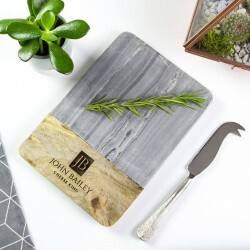 Inspired by the Mediterranean way of life, founders Jeff and Lee decided to produce a range of olive wood cheese and serving boards. 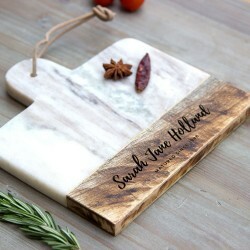 They both loved the rustic feel, look and smell of olive wood and launched The Rustic Dish after Jeff's food blog. 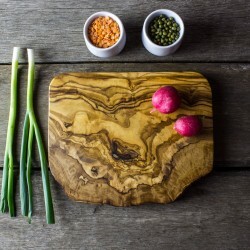 They carefully source the olive wood from olive farms that discard their very old trees which have come to the end of their natural fruiting life. This helps the farmers to reinvest in new, younger, more productive trees. They then design their pieces using single pieces of olive wood before having it made by artisans from around North Africa and India. 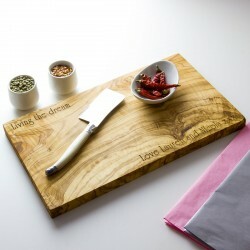 Their range includes cheese, chopping and serving boards and other home and kitchenware products. Their products have been voted in the "Top 10 Best Personalised Gift" for both 2014 and 2015 by The Independent!